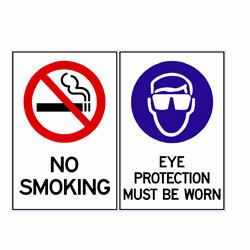 Total Safety Signs will ship your order by road freight/courier unless other arrangements were made. Most orders are processed and ready to ship within 1 to 3 working days. Please allow for Couriers Please or TNT, delivery times which varies by state or destination. However, please note that we cannot guarantee this. Some standard items and custom made signs will take longer to dispatch, depending on there size and difficulty. Please call our sales team to get an approximately delivery time. If you require your order for a specific date please let us know and we shall do our best to ensure it is dispatched in time. Personal Cheque payment will delay the shipment by approximately 5 working days for the cheque to clear. All deliveries are charged to the purchaser of the goods. Once the order has been placed, the customer will be contacted via a follow-up phone call, fax or email to confirm all details are correct and that all delivery charges are approved by the purchaser. It is your obligation to enter the correct delivery address details at the time of ordering. Should you enter the wrong address, we are not obliged to re-send the order to the correct address at our expense. Please note that if an item has been lost in transit, we will not dispatch a replacement item immediately. Replacement items will be dispatched according to our discretion. We require that, where possible, the recipient signs for the delivery. You agree that we have satisfied this condition where a signature has been received from the recipient, appropriate agent or proxy recipient of the order (chosen at the courier partner's discretion). This includes, but is not limited to, a hotel or office receptionist signing on receipt of delivery at the specified address. You agree that in doing so we have delivered the order within the terms of the agreement between you and us. You agree that when our courier partner is satisfied that the order has been delivered; delivery of the order has taken place within the terms of the agreement between you and us. Without limiting the operation of any other Terms and Conditions herein, we will not accept liability for any loss or damage arising from a late delivery. You agree that late delivery does not constitute a failure of our agreement, and does not entitle you to cancellation of an order. We will not accept liability for any loss or damage arising from items lost, stolen or damaged after delivery has taken place. .
Special deliveries or deliveries of an urgent nature may be arranged for after hours, Weekends and Public Holidays if confirmed prior with Total Safety Signs for an additional fee in the Sydney Metropolitan Area Only. On line stock item orders purchased before 11.00am are usually dispatched and delivered next day. Public Holidays excluded. Orders purchased online via manual options will be held until payment is cleared. Orders made on Weekends or Public Holidays will be delivered the next working day after returning. .
All orders to Country NSW, Queensland, Victoria, South Australia, NT, Western Australia and Tasmania purchased online via credit cards option are dispatched same day of the order being placed and are delivered within 1- 4 days of purchase, excluding weekends and public holidays. Please ensure all delivery details provided are correct. Inaccurate or miss spelt delivery information may result in delivery delays. 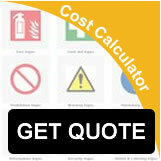 An extra delivery fee will be charged for any Re-deliveries due to errors that are of no fault of TOTAL SAFETY SIGNS. While we endeavor to deliver by the allocated time there are times where this is not always possible due to unforeseen circumstances. TOTAL SAFETY SIGNS and its carriers make every effort to ensure that all packages are delivered on time, however do not accept responsibility for late or non deliveries for reasons beyond our control. Late deliveries do not constitute a failure of our agreement and does not entitle a cancellation or a refund of an order. We will however do our best to ensure your purchase gets there as quick as possible.